The aspects of Kingdoms of Amalur: Reckoning that place it in everyone’s mind as an Elder Scrolls knock-off disguised in a bright, cartoonish atmosphere are probably the least important of all. Yes, you are in a rich fantasy world fighting typical fairy-tale type monsters. Yes, you can choose to play as a decent, upstanding individual or to roam the world looting what is not rightfully yours. In 2012, these are common facets in most great open-world games. It is the fully realized manner in which Big Huge Games offers these features here that make for a truly satisfying experience. And why is that surprising? The seemingly constant stream of information about KOA that has been released over the past half-year or so is a testament to the powerhouse working behind the curtain. A main story written by celebrated sci-fi/fantasy novelist R.A. Salvatore is brought to life with animation by cartoonist Todd McFarlane and soundtrack by composer Grant Kirkhope, all under the nose of Ken Rolston, of Elder Scrolls fame. The individual talent behind each contributor in their own field combines in a way that makes Reckoning shine in almost every manner possible. The game’s storyline is fairly unique. You design and choose the beginning characteristics of your character as a coroner brings your body to what should be its final resting place in a mass burial site beneath the war-plagued lands above. You soon discover that you are the first successful subject of a lifetime’s worth of experimenting with reincarnation. In a world heavily devoted to the study of one’s fate, you are a blank slate to be hammered away at as you travel the world changing the fate of everyone you encounter. The games fairly shallow narrative is spread onto a mainly loot-driven plateau; the seemingly never-ending list of optional side quests, that do nothing to progress the main story, were occasionally suffocating. Reckoning is a game that requires the player to grab the controller, exhale, and start off into the world for the pure enjoyment of it. Once you have become comfortable with traversing the lands expansive map and fighting various enemies just for the fun of it, the game truly opens its arms to you. The method in which you go about this is ultimately decided by a fairly shallow karmic system and whatever thrilling method of combat (or combination thereof) you fancy. In the broadest sense, you choose your abilities landing in three categories: finesse, might and sorcery, each category containing a unique skill tree with powers allowing the player to exterminate their foes in vastly diverse manner. On top of that, with every level you gain or faction quest you finish, you choose a Destiny Card based on your current stats. These act as buffs, granting bonuses to your characters abilities. Through stealthy ambushes, powerful magic or sheer strength, your warrior is given every opportunity to destroy the Amalur’s baddies in the fashion that most suits you. The combat is immediately exhilarating, based on chaining attacks together in ways that can turn even the toughest enemies into childish play-things. You choose two different weapons to have equipped at all times, each with its own assigned button, and a 4-axis ability wheel for unique spells/attacks. Successfully performing effective combos progresses your fate meter, which when full allows you to enter Reckoning mode, a lethal tool for decimating multiple targets, granting boosted experience points for each enemy killed. Also, with each level, you are granted a point to invest into a skill tree for your passive abilities. The options here are of a more common variety such as alchemy, blacksmithing, stealth, etc. While I typically have problems with crafting in most games, I found the blacksmithing and sagecrafting (gem creating) to be simple and enjoyable. And if 15 hours into the game it seems to wear itself a little thin, don’t despair! The ability to quickly re-spec your character for a handful of gold is presented early on in a simple manner, and is a highly recommended tool for keeping the combat fresh. Aesthetically, many areas within Amalur itself can be breathtaking. Roaming a landscape presented in soft, colorful tones feels refreshing opposed to the dark, dusty environments within most games. Backed by an orchestrated soundtrack that brings to mind E.T. era Spielberg, Amalur’s overall tone is truly unique and adds to the already impressive gameplay. While I have happily sunk more time into Reckoning than I do most games, it does have some minor issues. While the combat is remarkably fluid, allowing you to change up your style from fight to fight, it did get monotonous. Also, within the handful of passive skills trees you can invest in , only a few of them seem truly helpful or interesting over the game’s lengthy story arch. And long it is. While the main story and faction quests are solid enough, the ridiculous amount of filler-quality side quests are mostly unnecessary and are difficult to completely overlook. Not all games need to be as massive as the entries in the Elder Scrolls saga, especially if there isn’t enough quality story-crafting to back them up. Any time these issues begin to wear at a player, they are quickly forgotten by finding the nearest group of enemies and wrecking the hell out of them. It really lends itself to spending boatloads of time simply enjoying the rich gameplay, interesting loot and overall tone. 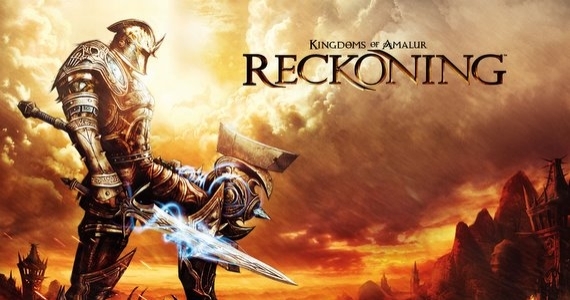 Due to the solid efforts in these areas by a behind-the-scenes powerhouse, Kingdoms of Amalur: Reckoning does so many things well that the hiccups within are barely visible in the shadow of its strengths.